I have been dealing with European security for more than thirty years, as an activist during the Cold War, as a journalist, and at think-tanks1. ●	Greater dangers lie ahead. ●	Reboot the Atlantic Alliance. I am the author of several books relevant to today’s session. The first of these, ‘The New Cold War’, was written in 2007, at a time when most Westerners were still reluctant to face up to the threat the Putin regime poses both to its own people, and to Russia’s neighbours. Many accused me of scaremongering. Few do that now. Yet conventional thinking about Russia is stubbornly rooted. Many policymakers and analysts in London and other Western capitals still believe that containing and confronting Vladimir Putin’s Russia is dangerous and that seeking a diplomatic accommodation, though difficult, is far more desirable. They blame the West for provoking the crisis in Ukraine by ignoring Russia’s interests. I disagree profoundly. My views are based on my experiences over many years in Estonia, Latvia, Lithuania, Poland, the Czech Republic, Ukraine, Moldova, Russia and other countries in the region. Our friends there have long been warning us of the dangerous direction of events. We have not listened to them. Instead, we have systematically patronised, belittled and ignored people who understand the problem better than we do. Now they have been proved right. I hope that my voice may be heard, where theirs, still, is not. Russia is a revisionist power. Accommodating Russian interests is not about changing outcomes within an existing set of rules. It is about accepting new rules dictated by Russia. This is hard for many Westerners to understand, because we believe implicitly that the European security order we have known for nearly 40 years is fair, and therefore stable2. Russia regards it as unfair and ripe for change. Russia wants to rewrite the rules in three ways. First, it does not believe that its neighbours should make their own decisions about their geopolitical future. Russia’s security, in short, depends on these countries’ insecurity. Russia particularly begrudges the former captive nations of the Soviet empire their freedom, their prosperity, and their independence. These pose an existential challenge to the stagnant and autocratic model of government pioneered by the Putin regime. The Kremlin also wants to end the two big institutional threats to its interests. One is the Atlantic alliance. This provides a framework for what it regards as American meddling in Europe. It also brings vestigial nuclear guarantee which in theory outweighs the most powerful part of Russia military arsenal: usable tactical nuclear weapons. Russia also wants to end the European Union’s role as a rule-setter, especially in energy policy. The Kremlin regards this as confiscatory and a potentially lethal threat to its most important export industries, and to its main source of political influence in customer countries. Russia deeply resents the EU’s ‘Third Energy Package’ which prohibits country-by-country price discrimination, and monopolies and cartels in gas distribution. These are not changes Britain or its allies can accommodate. Russian-run satrapies in eastern Europe would be poor, oppressive, ill-run and unstable: like Belarus if we are lucky, like Moldova if we are not. A year ago, we faced the prospect of Ukraine, one of the largest countries in Europe, embarking on reforms which would have made a bigger market, better neighbour, and happier country. Now it faces dismemberment into a Russian-run puppet state, and a resentful unviable rump. That is an appalling prospect for Ukrainians, and for us. For both moral and practical reasons, we should not consign allies such as the Baltic states and Poland to such a fate. The Atlantic alliance, for all its current woes, is the cornerstone of our security. Without the United States’ military and economic weight, Europe would be far more vulnerable to Russian pressure. And an open and transparent energy market is a vital national security interest. It would be a disaster if Europe returned to a world of murky long-term deals struck by political cronies, in which money is siphoned off by influence-peddlers and distributed among favoured clients. Russia now has the means to pursue its revisionist approach. ●	It ruthlessly uses its energy weapon against European countries, particularly in pipeline-delivered gas, where it has a substantial monopoly in the eastern half of the continent. We see this plainly in the promotion of the South Stream gas pipeline, which directly challenges EU rules, but is supported by Austria, Bulgaria, Croatia, Hungary, Italy, Serbia and Slovenia. ●	It uses money. It bolsters a self-interested commercial and financial lobby which profits from doing business with Russia and fears any cooling in political ties. Austrian banks, German industrial exporters, French defence contractors, and a slew of companies, banks and law firms here in the United Kingdom exemplify this. These energy and financial ties constrain the Western response to Russian revisionism. ●	It practises information warfare (propaganda) with a level of sophistication and intensity not seen even during the Cold War. This confuses and corrodes Western decision-making abilities. Fourthly, as we have seen in Ukraine, it is prepared to threaten and use force. Russia is winning. Russia has not only challenged the European security order and seized another country’s territory – Crimea: it is now in the process of seizing more, creating a puppet state called Novorossiya (New Russia). It has already crippled the Ukrainian economy and threatens to turn Ukraine into a failed state. The response from the West has been weak, late and disunited. 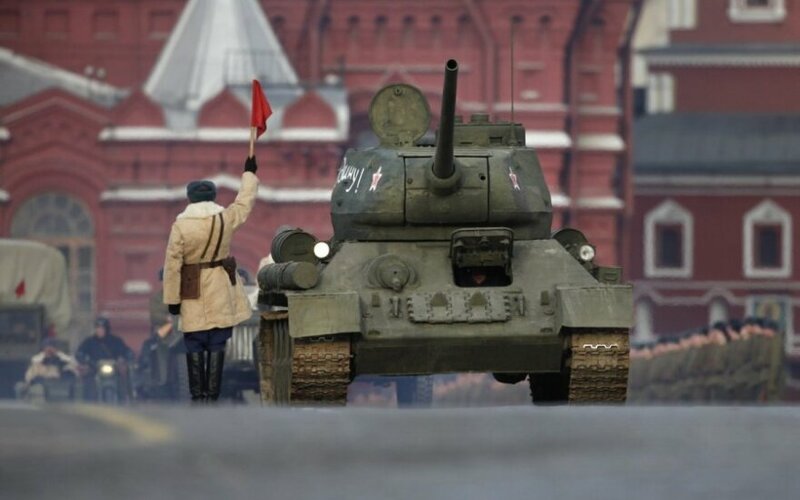 Many European countries have no appetite for confrontation with Russia. They take an essentially pacifist stance, that military solutions never solve problems, and that dialogue is under all circumstances better than confrontation. The United States is distracted by multiple urgent problems elsewhere and many Americans wonder why they should be borrowing money to pay for security in bigger, richer Europe. That gives Russia, with its bold decision-making and high tolerance for risk and pain, free rein. Our feeble response has allowed Russia to wage war in Ukraine with disastrous effect. Even greater dangers lie ahead. The Ukrainian adventure has given a big boost to the Putin regime, which showed some signs of declining popularity last year, amid economic failure and growing discontent about corruption and poor public services. Those who said that Russia would be content with Crimea (and that the peninsula’s special status, and specific historical and ethnic mix made it an anomaly of political geography) have been proved dramatically wrong. Worse, our weakness over Ukraine (and before that, Georgia) has set the stage for another, probably more serious challenge to European security, possibly in Kazakhstan, Azerbaijan, Georgia or Moldova, but most likely in the Baltic states. Estonia, Latvia and Lithuania are loyal American allies and NATO members. These are our frontline states: the future of the world we have taken for granted since 1991 hangs on their fate. If they are successfully attacked or humiliated, NATO will lose its credibility overnight: a huge victory for Russia. Geography is against them: the Baltic states form a thin, flat strip of land, lightly populated and with no natural frontier and little strategic depth. Their economies are liable to Russian pressure, especially in natural gas, where they are largely dependent on Russian supplies (though Lithuania will have an independent gas import terminal by the year-end). Estonia and Latvia are also vulnerable to Russian interference because of their ethnic make-up (between a quarter and a third of their populations self-identify as ‘Russian’ in some sense). Lithuania is vulnerable to demands from Russia for a corridor across its territory to the Kaliningrad exclave. Like West Berlin in cold war days, the military defence of the Baltic states is difficult, especially against ‘hybrid warfare’ of the kind seen in Ukraine, which uses a deliberately ambiguous mix of military and unconventional means. Russia knows that. NATO has only a token presence in the region. We have no hardened infrastructure, no pre-positioned armed forces, weapons or munitions. We do not have proper plans to defend them. Russia knows that too. If we try to remedy these gaps in our defence – as NATO is now proposing to do, belatedly and partially, Russia will denounce these steps as a provocation, and threaten countermeasures. On current form, we will quail and back down. The first task is to see clearly what has happened. European security will not be fixed with a few deft diplomatic touches and clever compromises. Coping with a revisionist Russia requires a fundamental overhaul. Policymakers need to explain to the public that the war in Ukraine was a game-changer. We have moved into a new costly and uncomfortable era, but we will never go back to business as usual. Anything else sends a message that the kleptocratic regime in the Kremlin understands all too well: crime pays. We need to rebut the phoney Realpolitik arguments, which advise us to make the best of a bad job. We should accept the loss of Crimea, so the argument goes, do a deal with Russia over the future of Ukraine, and get used to the new realities, of a Russian droit de regard in neighbouring countries. Such an approach would be morally wrong and strategically stupid. Securing a Europe whole and free after 1991 has been a magnificent achievement in which Britain has played a huge part. True: we made mistakes. We tried too hard to pander to Russia in the Yeltsin era, ignoring the growth of corruption, authoritarianism and revanchism. We overlooked Russians’ resentment as their country drifted from the European mainstream and our vulnerability to the steps they could take in response. We neglected Ukraine, Moldova, Belarus and the countries of the Caucasus. The Blair government was bewitched by the Putin regime’s offer of cooperation against Islamist terrorism in 2001. We have been frequently dazzled by the spurious commercial prospects offered by Russia – in particular BP’s decision to form an alliance with Rosneft, the main Russian oil company, was a shameful example of greed and short-sightedness. But having made these mistakes is no reason to compound them now, by retreating into a grubby defeatism. Legitimising Russia’s land-grab in Ukraine, and its attempted power-grab in the neighbourhood, would fly in the face of historical justice. The Tatars—whose suffering at Soviet hands is all but unmatched—are now under the rule of their former tormentors. Are we really proposing that countries which paid the greatest price for the mistakes of the 20th century (including many made by this country), and which the past masters of the Kremlin occupied and despoiled, should be once again subject to outside interference and oppression? Instead, we should make it clear that our aim is simple. We will boost our security and that of allies, and weaken our opponents. We do not want to be enemies with Russia. But if the Putin regime treats us as an enemy, we help nobody by pretending otherwise. Russia is far too weak to mount a conventional military attack on the West. But it does not need to. It has more potent weapons, of the kind already seen in Ukraine – the confusing and fast-changing combination of regular and irregular forces, economic sanctions, energy blockades, political destabilisation, information warfare, financial panics, and cyber-attacks. Traditional armed forces are not equipped to deal with this. Britain’s own psychological-warfare capabilities (both in offence and defence) have been severely downgraded in recent years; neither we nor our allies have effective means of countering Russian propaganda. We need new, sophisticated and resilient means of defending ourselves against the Russian chimera, which blends military, criminal, intelligence, business, diplomatic, media, cyber and political elements. The immediate priority is military. A security crisis in the Baltic region is the single most dangerous threat facing the Atlantic alliance. 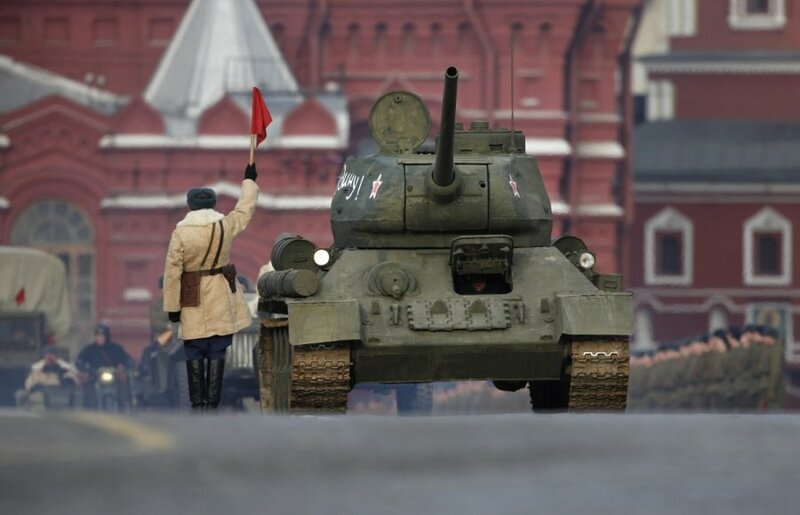 Reckless behaviour by Russia could face us with a choice between a full-scale military confrontation (including the potential use of nuclear weapons), or surrender, with the collapse of our most fundamental security arrangements. We must make every effort to ensure that this does not happen. That means NATO allies must preposition military equipment and supplies in the Baltic states. It means NATO creating a standing defence plan—one which assumes that there is a real and present danger of attack. We need to put a major NATO base in Poland, to reassure that country that it can safely deploy its forces to the Baltics as reinforcements in the event of a crisis. We need to boost the NATO presence in the Baltic states with rotating visits by naval vessels, extended air-policing, and ground forces—initially on persistent rotation, but as soon as possible on permanent deployment. Russia will complain vigorously about this. But the fact that the Kremlin is unhappy when its neighbours are well-defended is telling. We should explain to the Russian authorities and to our own public that when NATO expanded in 2004, we did not even draw up contingency plans for the military defence of the new members, because we assumed that Russia was a friend, not a threat. It is Russia’s behaviour which has changed that. Russia attacked Georgia in 2008. It rehearsed the invasion and occupation of the Baltic states a year later, in the Zapad-09 exercise (which concluded with a dummy nuclear strike on Warsaw). It has continued to menace the Baltic states ever since, with air-space violations, propaganda and economic warfare, and state-sponsored subversion. We take the step of securing our most vulnerable allies belatedly and reluctantly, and solely as a result of Russian policy directed towards them. A further vital military component of security in north-eastern Europe is the closest possible integration of Sweden and Finland into NATO planning and capabilities. These countries are not members of the alliance, so they cannot formally be part of its command structure. But we should make every effort to maximise cooperation in every respect. We cannot defend the Baltic states or Poland without their help. Rich, well-run countries with serious military capabilities, excellent intelligence services and strong strategic cultures are in short supply in modern Europe. We should make the most of what we have. We also need to consider how to help countries hit by Russian economic sanctions. I commend Polish apples and Lithuanian cheese to this committee. Poland is one of the world’s largest apple exporters. Half its production goes to Russia and has been halted at the stroke of a pen, on arbitrary grounds. I do not believe that taxpayers should pay for the imprudent decisions of exporters (for more than 20 years I have been warning companies not to depend heavily on the Russian market). But as consumers we can do our part to help blunt the edge of Russian economic warfare. Making it clear that we are serious about helping our allies will make our attempts to help our friends more credible. The top priority here is stabilising Ukraine. It is hard to overstate how parlous the situation is. Ukraine is suffering a world-class economic and financial crisis, which even in a stable and secure country would be far worse than anything experienced elsewhere in Europe. The economy is fundamentally uncompetitive. The main export market, Russia, is at risk of closure at any moment. Public finances are in ruins. Foreign exchange reserves are empty. Crippling debt repayments loom. The government subsists on a hand-to-mouth basis, relying on ad-hoc donations from wealthy oligarchs for even core spending requirements such as national defence. Even if everything else goes well, simply fixing Ukraine’s economy will take five years. A defeated Ukraine – embittered, traumatised and dismembered – will be even harder to help. The outside world must respond generously and imaginatively. A new Marshall Plan for Ukraine should involve not only direct financial support, but also the widest possible relaxation of tariffs and quotas on Ukrainian products such as steel, grain, textiles and agricultural products. The European Union has led the way with the newly signed deep and comprehensive free trade agreement, but much more remains to be done. In particular, European countries should accelerate efforts to supply Ukraine with natural gas by reversing the flow of existing pipelines. Second, Ukraine faces a political and constitutional crisis of a kind unseen since the end of the wars in ex-Yugoslavia. Every political institution was degraded and discredited under the previous Yanukovych regime. Decades of bad government, corruption and abysmal public services have corroded public confidence in the state—one reason for the initial public support enjoyed by the insurgents in the poorest parts of eastern Ukraine. We should give the strongest possible support to the parliamentary elections next month. Third, Ukraine faces defeat in its undeclared war with Russia. We need to offer Ukraine military training, assistance, arms and equipment in order to defeat or at least stall the separatist insurgents. We also – for Ukraine’s sake and for our own – need to deter the Kremlin. This is the hardest part of the task ahead. Russia is an integrated part of the world economy and of international decision-making on everything from space to sub-sea minerals. It cannot be simply isolated and ignored. But that does not mean that we cannot raise the cost of doing business for the Putin regime. In particular, we should greatly extend the use of sanctions against individuals. The furious Russian reaction to the American imposition of even a handful of visa bans and asset freezes on those responsible for the death of the whistle-blowing auditor Sergei Magnitsky shows the effectiveness of this approach. Other countries, including this one, have shamefully failed to follow suit. They should. The initiative of Bill Browder, the London-based financier and activist who employed Mr Magnitsky and has championed his cause, deserves special mention and credit. The scope of such sanctions should be widened to include hundreds or even thousands of Russian decision-makers and policy-makers. It could include all members of the legislature (Duma and Federation Council), all members of the General Staff, military intelligence (GRU) domestic security (FSB), foreign intelligence (SVR), the interior ministry (MVD) and other ‘power agencies’, the presidential administration, and presidential property administration (and companies which represent it abroad), companies run by personalities linked to the Putin regime, and any banks or other commercial institutions involved in doing business in occupied Crimea. Such visa bans and asset freezes could also be extended to the parents, children and siblings of those involved. This would send a direct and powerful message to the Russian elite that their own personal business in the West – where they and their families shop, study, save and socialise – will not continue as usual. The more countries that adopt sanctions, and the longer the list of those affected, the more pressure we are putting on the Putin regime to back off and change course. Here in Britain we have another powerful weapon. We can also apply much tougher money-laundering laws to keep corrupt Russian officials out of the Western payments system and capital markets. We should intensify investigations of Russian energy companies which have mysterious origins, shareholders or business models. We can tighten rules on trust and company formation agents to make it harder for corrupt Russian entities to exploit and abuse our system. It is often said that offshore financial centres are beloved by the Russian elite. But the shameful truth is that it is Britain and the United States which make life easiest for them. We also need to improve the West’s resilience and solidarity in the face of Russian pressure. Lithuania has built its own floating LNG terminal, which will become operational in December of this year, with the arrival of the aptly named “Independence” a vessel constructed in South Korea. Already, Gazprom’s grip on Lithuania’s natural gas market has slackened, and Lithuania has bene able to negotiate a discount from the extortionate price – the highest in Europe – which the Russian gas giant had been charging. As energy editor of The Economist, I am sceptical of the idea that we will ever have a deep and liquid global LNG market: the technology and costs involved hinder the development of the needed supply chain. However at the margins, LNG does make a big difference, blunting the edge of any artificial emergency that Russia may try to create with selective supply interruptions. Europe can do much more. It can build more gas storage, and liberalise the rules governing it, so that all parties have access to the facilities. It can complete the north-south gas grid, making it impossible for Russia to use supply interruptions on its four east-west export pipelines as a political weapon. Most of all, the European Commission should proceed with its complaint against Gazprom for systematic market-abuse and law-breaking. This move – in effect a prosecution – is based on the seizure of huge numbers of documents following raids on Gazprom offices and affiliates. The Commission had expected to release this complaint – in effect a charge sheet – in March. Then it was postponed until June. Nothing has been heard of it since. Many now wonder if it has been permanently shelved. European, British and American regulators are rightly concerned about the way in which Russian companies operate in the world energy market. There are grave suspicions of price-fixing, insider trading, money-laundering and other abusive and illegal behaviour. My own researches suggest that these suspicions are amply justified, though writing about them is hampered by the costs and risks imposed by English libel law. In the course of researching the defence case in a libel case involving a prominent Russian active in the energy sector, I met several potential witnesses who were frightened for their physical safety if they cooperated with us. The more that the our criminal justice systems can do, through prosecution, witness protection and plea bargains, to deal with the Russian gangster state, the safer the world will be. Finally, we need to reboot the Atlantic Alliance. As memories fade of the Normandy beaches, of the Berlin airlift and wall, and the sacrifice and loyalty of past generations, our reservoir of shared sentiment is running dry. Without economic, political and cultural commonality, the Kremlin’s games of divide and rule will succeed. This will require renewed and extraordinary efforts on both sides of the Atlantic. The revelations surrounding the secret material stolen by Edward Snowden have stoked fears in Europe that America is an unaccountable and intrusive global hegemon. This year I wrote a book – ‘The Snowden Operation’ attacking the ‘Snowdenistas’, as I termed the NSA renegade’s unthinking defenders. I believe that our intelligence agencies as a rule function well, within the law, and to the great benefit of our nations. But much damage has been done. At a time when we need to be restoring transatlantic ties, they are withering before our eyes, especially in the vital strategic relationship between America and Germany. The Transatlantic Trade and Investment Partnership (TTIP) offers a rare chance of a big-picture, positive project which could help revive what sometimes looks like a failing marriage. A final footnote: whereas Russia once regarded the collapse of the Soviet Union as a liberation from communism, the regime there now pushes the line, with increasing success, that it was a humiliating geopolitical defeat. That is not only factually false; it is also a tragedy for the Russian people. They overthrew the Soviet Union, under which they had suffered more than anyone else. But they have had the fruits of victory snatched away by the kleptocratic ex-KGB regime. The bread and circuses it offers are little consolation for the prize that Russians have lost: a country governed by law, freed from the shadows of empire and totalitarianism, and at peace with itself and its neighbours. 1 I have worked as a foreign correspondent for the BBC, The Independent, The Sunday Times and The Economist. In 1989 was the only foreign newspaperman living in Communist-era Czechoslovakia and saw the regime there tumble in the Velvet Revolution. I was the last Western journalist to be expelled from the Soviet Union, having received the first visa given by the new Lithuanian authorities. In 1992 I founded and ran the first English-language weekly in the Baltic states. In 2010 I coordinated the defence for my employer The Economist in a high-stakes libel action brought against us by a Russian tycoon who denied that his fortune benefited from his association with Vladimir Putin. I speak Russian, German, Polish, Czech and some other languages. As well as the ‘New Cold War’ (revised and updated in a new edition this year) I am also the author of ‘Deception’ (a book on east-west espionage) and of ‘The Snowden Operation’ (an e-book on the NSA, privacy and espionage). 2 The Helsinki Final Act of 1975 established that borders in Europe would never again be changed by force. The Paris Charter of 1990 established common principles of political freedom, human rights and the rule of law. The Soviet Union signed both. Edward Lucas is Senior Fellow at Centre for European Policy Analysis (Washington DC) and Senior Editor at The Economist magazine. The above is his written testimony to the House of Commons Foreign Affairs Committee, 3 September 2014.